Postman Pat is on Hopster! Our favourite Postman is now on Hopster, ready to deliver heaps of fun! There are very few of us who have not come across Postman Pat at some point in our lives. For most of us it is a nostalgic reminder of our childhood days, but for those of us who did not grow up with the show, ‘Postman Pat’ is the story of a postman.. ironically, who lives in a village called Greendale, together with his wife Sarah. He has a black and white cat called Jess (who is a boy cat, believe it or not) who joins him on all his delivery adventures. The show has been around for more than 30 years now, and in this latest series SDS (Special Delivery Service) the packages have gotten even bigger and weirder! How can you not love Postman Pat?! It’s a show about loyalty and kindness, about contributing in your community and about having a positive and helpful attitude. 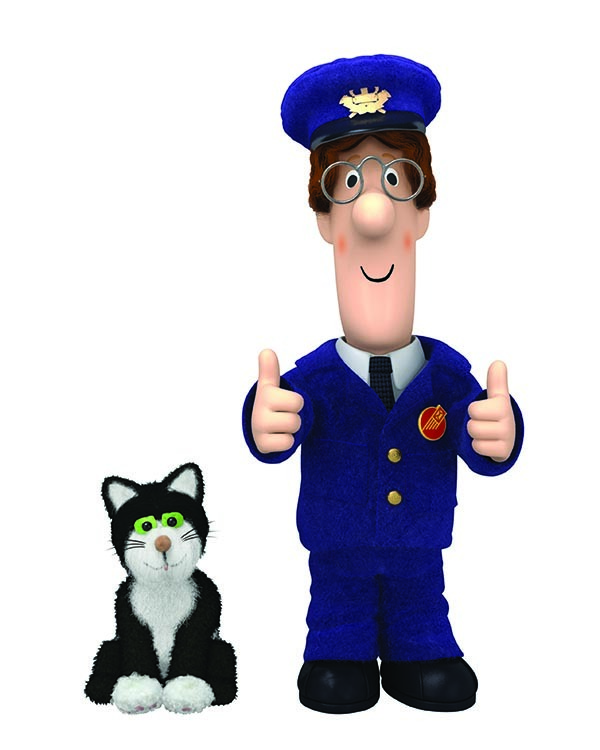 As the show slogan goes, ‘You can always count on Postman Pat!’ – he’s a solid guy who’s got your back! In each episode Postman Pat is given a delivery job to do, and it never quite goes to plan! He, however, does all he can to help those counting on him. The show is about making friends, cooperating and solving conflict and knowing how others feel, and covers the My Friends and Family section of our curriculum. Children also learn about the world around them, with Pat shooting off to all sorts of exciting places and delivering one bizarre package after the other. To mention just a few things, kids can learn about magnets, helium balloons and telescopes in this exciting new show! As well as being a show full of positive messages it is also very humorous, and sees Postman Pat in a number of hilarious situations, that will delight your little ones.